Formal rules and strict laws imposed by states and virtually all institutions within society, Day and Maurin believed, were unnecessary and could only impede the spiritual, intellectual, and emotional fulfillment of the individual. Their perspectives were shaped to some extent by the “personalism” philosophy of Emmanuel Mounier. The laws and political policies of most modern societies were ultimately the products of oligarchs and plutocrats, they believed. Human nature is essentially benevolent or at least non-competitive, as long as physical needs are satisfied. 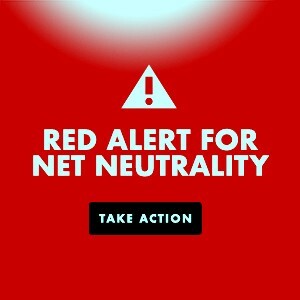 The new movement ultimately challenged the culture of greed that has only grown in virulence in these United States. During the 1950s Ms. Day denounced the Cold War air-raid shelter program, primarily in New York City, for misleading people into believing that nuclear war was survivable, hence doable. She favored total unilateral disarmament, realizing that nuclear war was the greatest threat to humanity in history. Her advice to citizens was to refuse to “take cover” during air raid drills. Indeed, Dorothy Day participated in numerous antiwar, civil rights, and social justice demonstrations, never hesitating to commit civil disobedience in the process, hence going to jail. Her visits to support Cesar Chavez and the United Farm Workers rallies in California’s Central Valley are particularly worthy of mention. Although a practicing Catholic, Dorothy Day never had a problem with atheists, agnostics, Jews, Muslims, etc. working with her in the cause of political and social changes to improve the lives of the disenfranchised and to engage in the search for world peace. I first met Dorothy Day in 1965 during my senior year at Bard College. The CW had a farming community about five miles from the campus, outside the town of Tivoli, N.Y. Dorothy had purchased the property about a year earlier. Situated on a bluff overlooking the Hudson River with the Catskill mountains the distance, the farm was a temporary home to indigent residents, scholars, and journalists. In fact, anyone who wanted to stay indefinitely at the Catholic Worker farm—or any of its houses of hospitality– could do so as long as there was room. I had developed friendships with some of the residents of the farm when they would visit the college for lectures and various events, including the then editor of the newspaper, Marty Corbin. Marty suggested that I stay at the farm for my month long Winter break from the college and volunteer to help paint one of the old mansions on the property. Dorothy herself would stay at the farm on weekends whenever she would return from a speaking tour or doing business at the CW headquarters in NYC’s East Village. My first impressions of Dorothy—I didn’t know much about her in 1965, just how extensive her national and international reputation was and that her circle of friends around the time of the Russian revolution included Eugene O’Neill, Jack Reed, Emma Goldman—was that she was unassuming, down to earth, and focused on her lifelong message. I soon learned that there was no other organization in the world, perhaps in world history, such as the Catholic Worker. Or, that the movement was as much opposed to Marxism as it was to capitalism. Nine years later I was teaching sociology at a small Catholic college in Dodge City, Kansas. Dorothy was on a speaking tour of the Midwest. I called CW headquarters in New York City to invite her to speak at the college. She agreed. On a cold weekday night, about 11PM, I met Ms. Day at the bus depot in Dodge. (She rarely ever traveled by plane or in her own car.) I drove her to the nearby home of a colleague at the college since my own apartment was too small to accommodate her. We reminisced during the ride about my days at the Tivoli farm, as if we were old friends. Her talk at St. Mary of the Plains College went very well. The students and faculty were introduced to one of the twentieth century’s most radical journalists and peace activists. 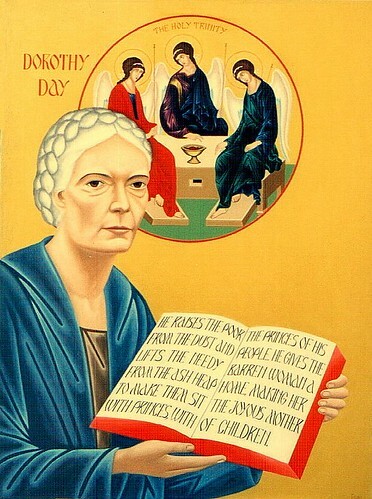 Dorothy Day wanted to remake the world in the image of Christ. She served the less fortunate and the causes of economic justice and peace. Too many people have never heard of her, and far too many Christians have refused to embrace her (and Christ’s) message of peace and love and understanding. In meeting her and getting to know her, if only for a short time, I believe I encountered a woman deserving of canonization by the Catholic Church (even though I know she would likely have rejected the honor). Like Dorothy Day, we need to recognize that our problems today stem from our acceptance of a filthy, rotten, system that enshrines greed and injustice and inequity, a system tailored for exploitative competition, brutal punishment, and forever war. Richard Sahn is a Contrary Perspective regular and a professor of sociology. This entry was posted in All Posts News Politics and-or Videos, Anarchism, Christianity, History, Politics, Religion and tagged Activism, Catholic Worker, Dorothy Day, Inequality, Peter Maurin, Richard Sahn, Social Justice. Bookmark the permalink. Charles and Rocket: Yes, yes, yes! Catholic Workers are more “Christlike” than the hypocritical priests and Protestant ministers who have made a mockery of the teachings of the Christ. Many years ago, I would go to the commercial farmer’s market in Los Angeles and purchase boxes of vegetables, and sacks of beans and retrieve some of what was discarded (fruits with blemishes) for free and donate them to the Catholic Worker soup kitchen in skid row. Day and Maurin were certainly “saints” in the real meaning of the word, along with everyone else following that straight and narrow road to peace, justice, and the application of the golden rule. Thanks for dropping by and your comment, Fred. The Catholic Worker movement is possibly the best example of modern day people following the teaching of Jesus of Nazareth. Thanks, Charles. They are one of many such groups. The United Methodists are doing great work as well, prioritizing feeding the hungry and housing those without homes in my town. right on charles ! i have been one for decades now , and my fellow Catholic Workers really go out on a limb . i just marvel at them . the Quakers are right on too .